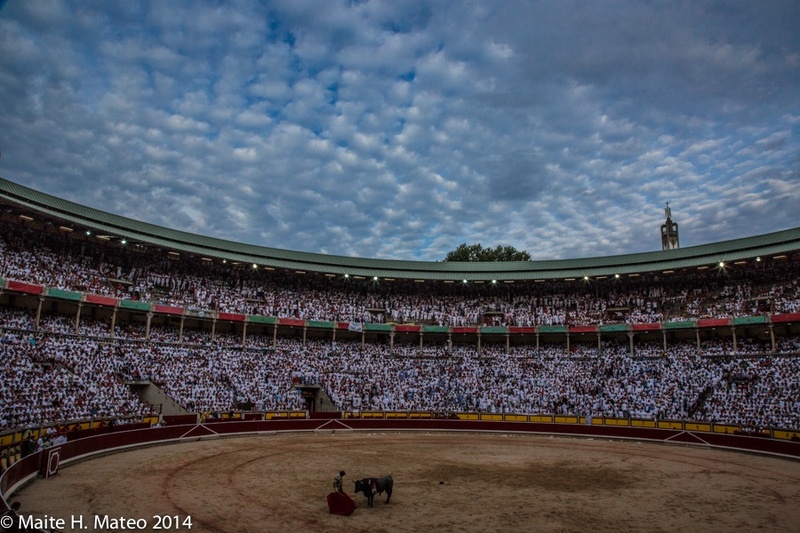 We have just learned the bull-ranches selected for Feria del Toro de 2015 from a press release issued by the Casa de Misericordia organizing entity. 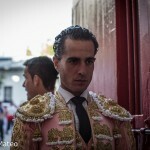 Five of the eight bull-ranches from last year will repeat again in 2015: Victoriano Del Río, which won the “Feria del Toro” and “Carriquiri” awards in 2014, as well as the customary Miura, plus the Jandilla, Fuente Ymbro and Garcigrande – Domingo Hernádez bull-ranches. 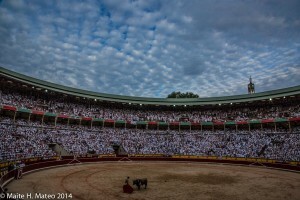 Making their debut in 2015 is the José Escolar Gil, from cattle breeding method Albaserrada, and the bulls from the Tajo y la Reina bull-ranches, owned by maestro José Miguel Arroyo, “Joselito”. 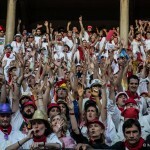 Here at Sanfermin.com we will be waiting for the official announcement from the Casa de Misericordia (organizers of the Sanfermin bull- fighting week) in order to let you all know which bull ranches have been chosen for The Running of the Bulls and the afternoon fights for Sanfermin 2015. 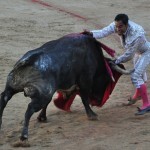 At present, we do not have any information about that but it is very likely that they already know most of the bull breeds. 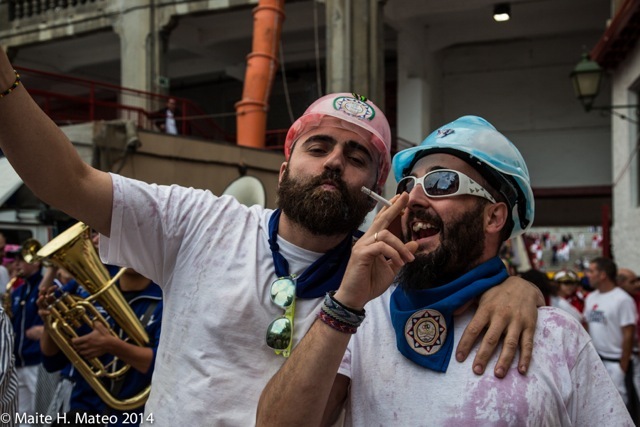 And, as the song says (the one sung by Fary in his day), the Bulls will be already getting into shape for the fiesta events. 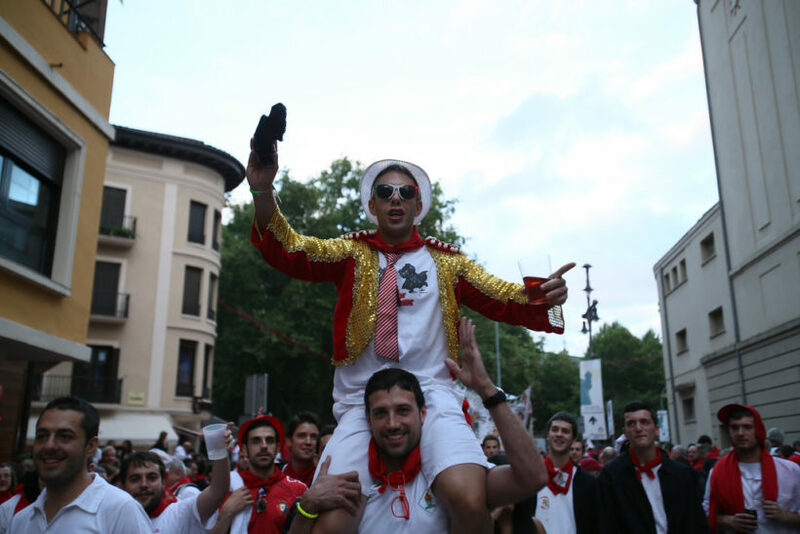 We can use one of the cartoon figures from RTVE national television made for Sanfermin last year where we can see the Bulls smarten up for the fiestas. It’s true that they will lose their lives but they can also achieve eternal glory. 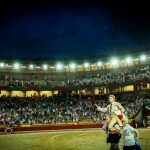 There is no greater honor for a bullfighter than to be carried out shoulder high from the bullring after giving a noteworthy performance in the arena. Even for the imitation matadors. 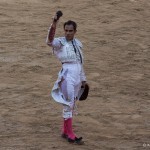 This supposed matador managed to get carried out shoulder high along with the exit of the Peña clubs, taking one of his “ears” awarded to him in the bullring. 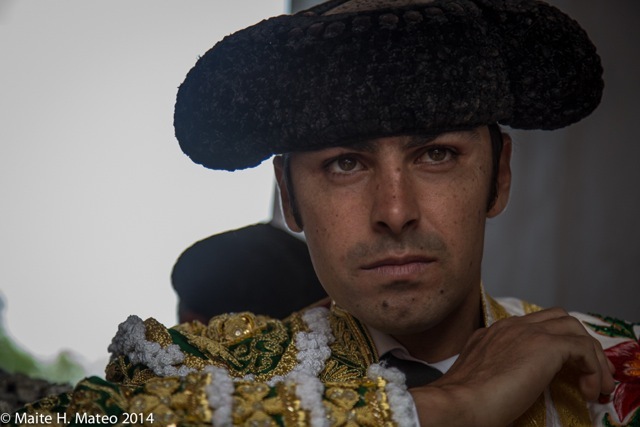 Luis Bolívar, from Colombia, was the best matador, without any doubt, in the closing afternoon bullfights of the Feria del Toro 2014. With an intelligent performance, showing off his skill with the cape, and taking risks with his sword-work, he was awarded one ear. 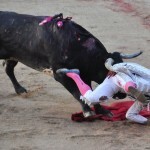 It could have all gone wrong because he went all out for the kill knowing it was his opportunity and the bull threw him with a toss that almost cost him dear. A mortal thrust and an ear was awarded. 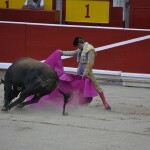 He could not complete his afternoon’s work because the second bull was not up to much and fizzled out early. But he did get an appreciative ovation from the public. 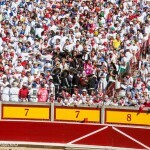 Esaú Fernández did not have any luck. 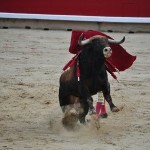 The first bull was the worst of the lot. 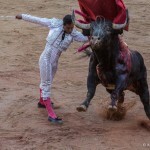 Yet dangerous for a bullfighter without much experience in these type of situations. 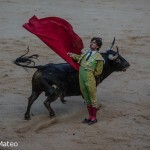 And the second bull, the infamous, Olivito, the same bull that had caused the gorings in this morning’s Running of the Bulls, was a bull to achieve some fame with. 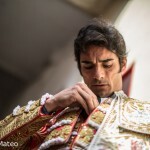 But Esaú, after a good performance with his cape-work, got entangled with his sword-work and ended up being jeered and booed on what could have been a good day for him. 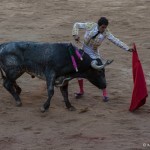 Javier Castaño did not get best bulls, and knowing the score, he sorted things out as rapidly as possible and decided to wait for a better day to prove his worth. 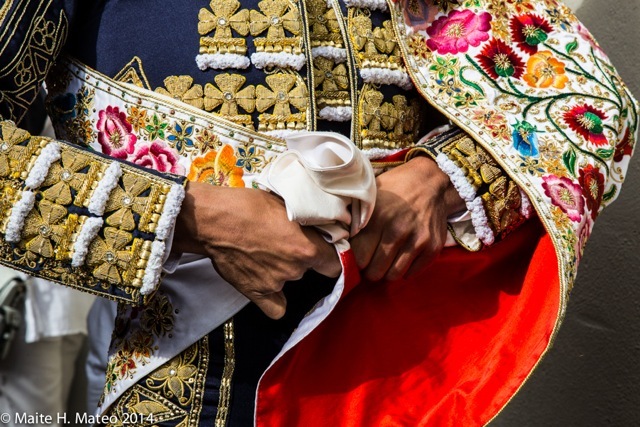 We have had so many good afternoon bullfights lately, with triumphant matadors, “Padillas”, generous presidents, open gates and ears awarded haphazardly …that we had almost forgotten the other side of bullfights. 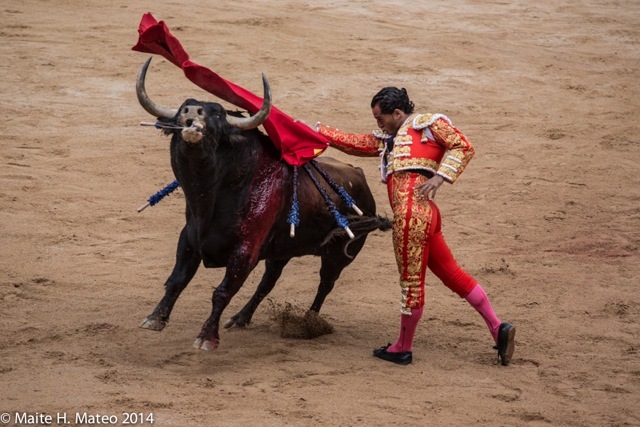 That is to say, bulls that don’t want to know anything about anything, bullrings submersed in boredom, stands that are crowded with an indifferent public and bullfighters that go all out for it because they may not get another bull like this one. 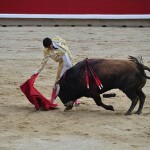 Urdiales was given two difficult bulls – as indeed, were his companions – and he tried his best not to let it affect him. 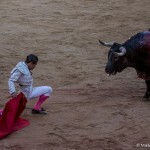 But he forgot that the bull in front of him was not a bull to triumph with. Even so, he managed to force a few timid rounds of applause for some of his cape work. 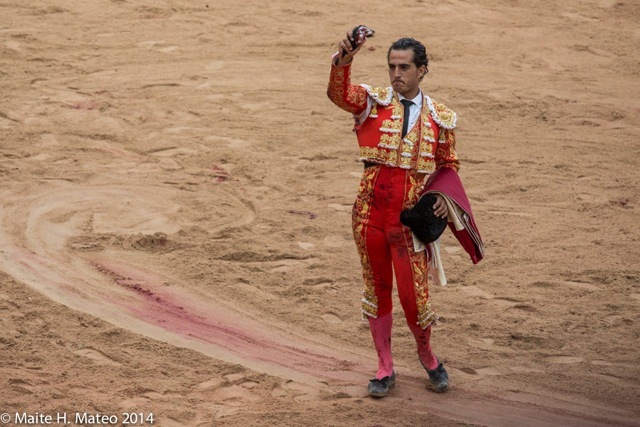 Manuel Escribano started off enthusiastically, receiving the bull a portagayola, and with real bravery. 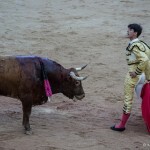 But his first bull pestered him intently, while the second one, which had initially given a positive impression, very quickly came to nothing. And to crown it all, he had problems with his final sword-work in making the kill. Alberto Aguilar was the one who had the best options. 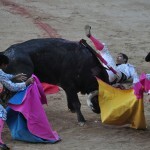 At least, with his first bull, which was the best of a bad lot. 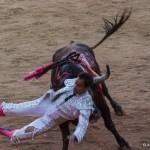 He performed well with this bull but it went largely unnoticed or at least unawarded, as yesterday seemed to be one of those days for few acknowledgements. 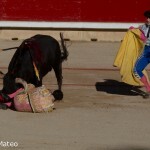 His second bull was worse, meek and without resources. A bull to forget. 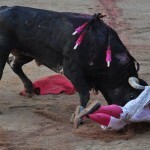 Indeed, an afternoon’s bullfighting to forget. 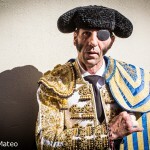 The matador with his pirate eye-patch does not need much introduction. All those who know him well sing his praises. 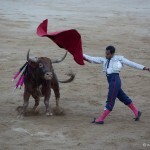 It was a bull called “Marqués,” from the Miura bull-ranch that is to blame for the eye-patch over his left eye. 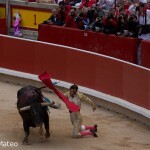 The horn of that bull penetrated his left ear and his left eye. 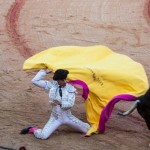 But the bullfighter does not hold anything against the bull. Indeed, he appreciates the glory he has attained from that unfortunate mishap. 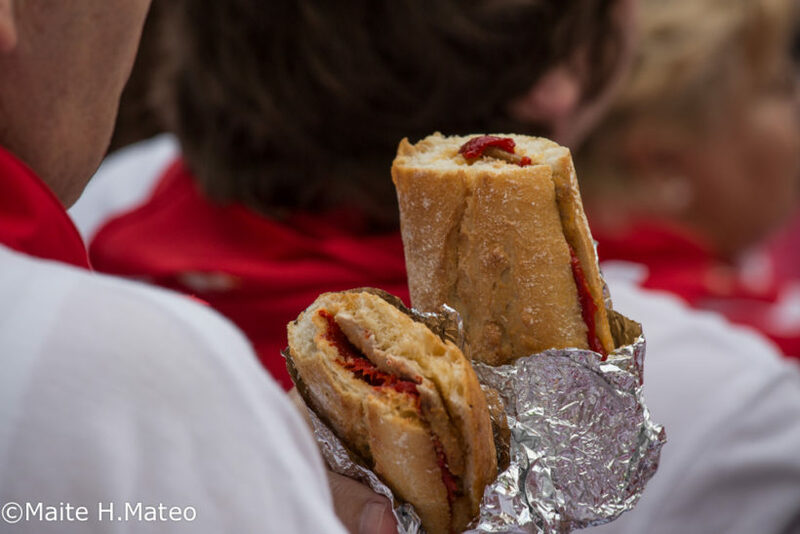 Juan José Padilla (Jerez de la Frontera, Cádiz, 1973), the “bread-man” from Jerez, is easy to like… and to like a lot. 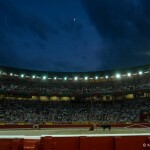 The Pamplona Bullring lights up with his presence. 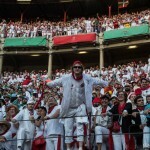 These Sanfermin 2014 he will fight on two days. He already made his first appearance last Wednesday and today, Saturday he repeats. 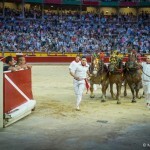 His presence in the arena generates a lot of interest. 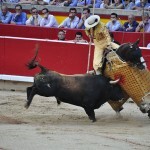 He tends to give his all every time he fights because that is his style, a generous type, he is un ‘entregao’. 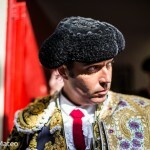 This was confirmed to us the order day by Miguel Araiz, ‘Rastrojo’, the gaffer of the bull-minders in the Runnings of the Bulls. 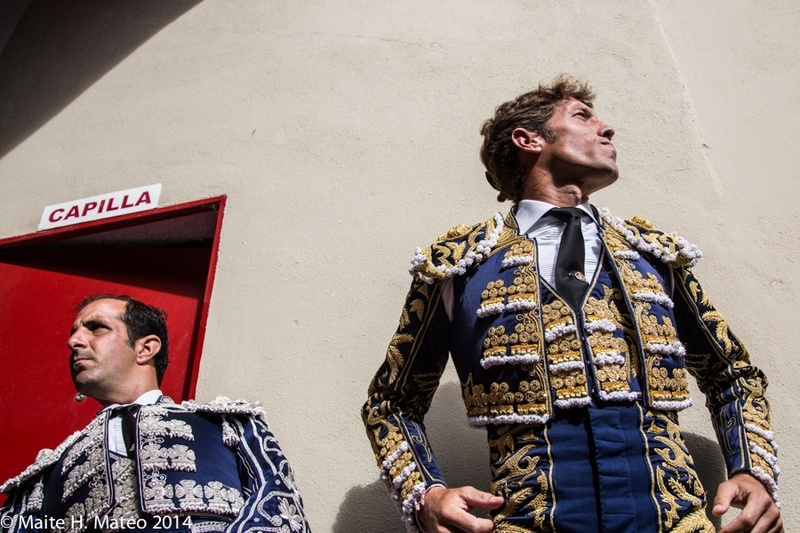 These men seem to have a certain special rapport with Padilla which was well caught in a photo from our photographer Mikel Ciaurriz last year when he snapped the matador arm-in-arm with his friends, the bull-minders. This year we wished to bring them together again and Padilla gifted us with these cute snapshots taken in the courtyard of the bullring. 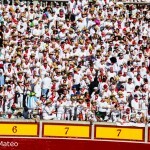 If it were not for their uniforms, this could be just about any typical gang of mates ready to go out together to have a good time in Sanfermines. 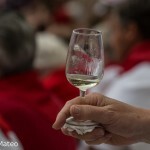 On this occasion, the photos were taken by another of our other photographers, Javier Martínez de la Puente, but Padilla remembered Mikel Ciaurriz from last year and, on seeing him, he shook his hand and told him “We must repeat the photo this year, right? 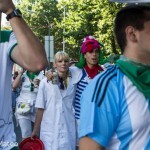 The appointment was for 7.15 a.m. and the “pirate” made a big effort to come on time. A gesture that we most certainly sincerely appreciate. Padilla generates a lot of affection. Wherever he goes, he leaves his mark. His path is that of a true hero who has known how to confront Death itself and to make the most of his life doing what he likes to do best. 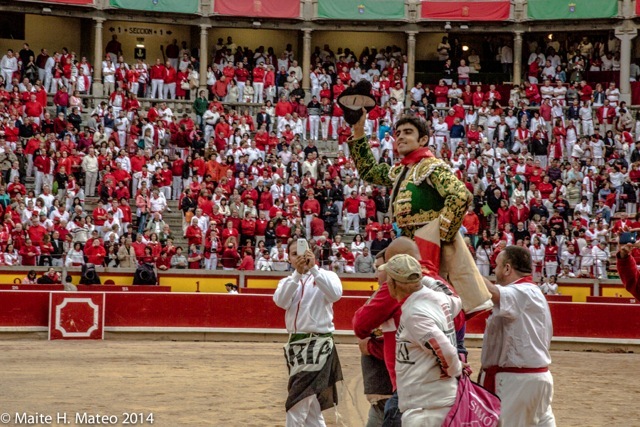 His personal background is just as impressive as his work in the bullring. He deserves many more awards of ears and tails if only for having learned how to fight against adversity and suffering. “La vida es un regalo” (‘Life is a gift’) reads the title of the book written by María de Villota, the Formula1 driver who lost an eye in an accident and who sadly died last October. 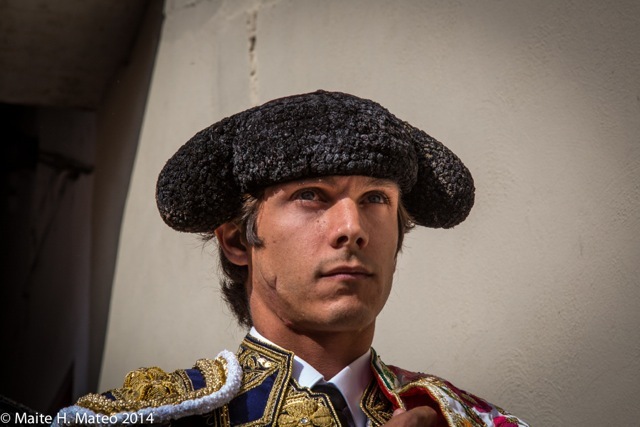 In the book, the driver expresses her appreciation to Padilla for his support and in different places in the book there are quotes and reflections made by the matador about what one can learn when one has looked Death in the eye. 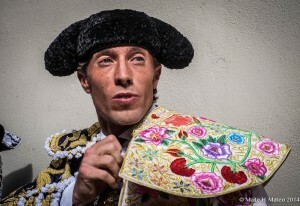 A copy of this book always travels with the bullfighter, like a lucky charm that will protect him, along with a couple of bracelets made by his two children for him. 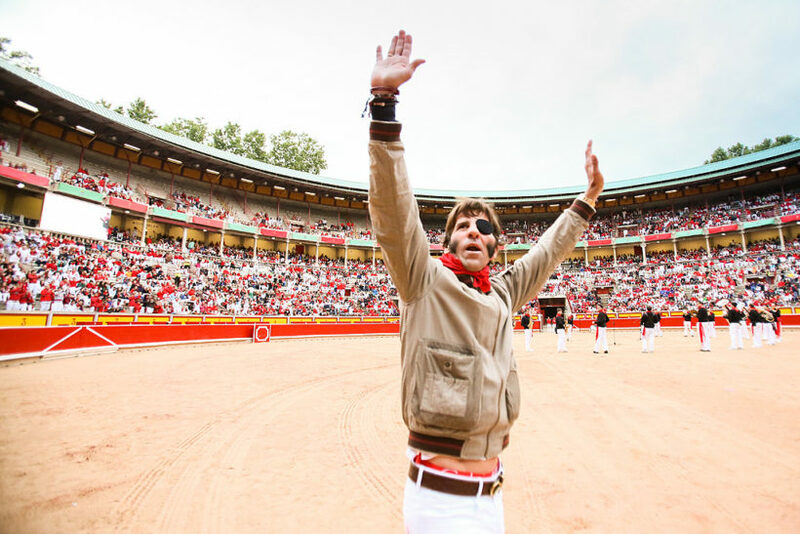 He told the Formula One driver, among many other things, how to make a good eye-patch and how to place it without causing any pain…and how to show it off! 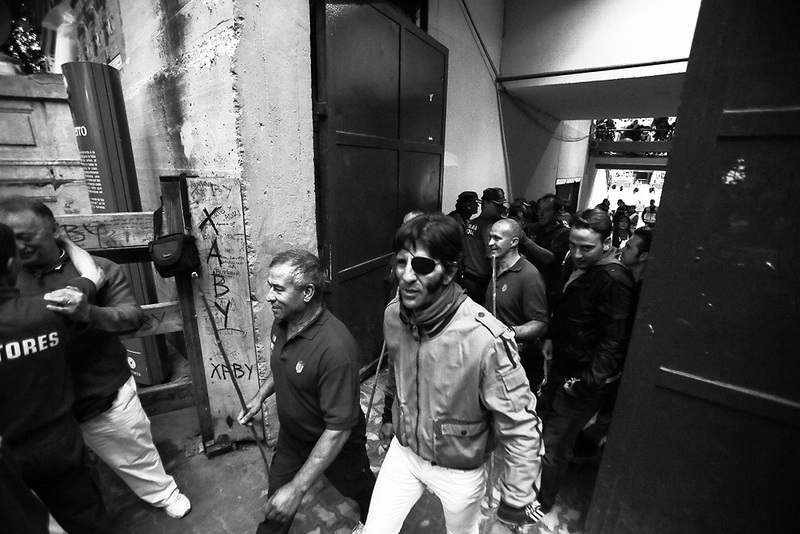 In fact, he tends to match his eye-patch with the clothes he is wearing, as he is quite vain in that aspect. In several recent interviews that he has had, he admits that he likes to cook very much, to go to the beach, to have guests at home, to cycle on a tandem bicycle with his daughter and to take his six dogs for walks. He appreciates almost everything in life. He says that the first thing he does each morning on waking up is to thank God for being alive. He often quotes doctor Carlos Val Carreres, who brought him back to life the day of his almost-fatal goring and indeed, other doctors too and of course his own wife – called Lidia, who he first courted when she just a girl of fourteen, when he used to deliver bread to her house. Her help has been crucial in his conclusive convalescence. The goring to his eye resulted in the loss of 18 kilos in weight as well as the total loss of vision in his left eye while it also damaged his sense of symmetry, his sense of depth, his speed, his reflexes…but thanks to an iron will, which demanded long hours of recuperation with physiotherapists and speech therapists, he was able to reach a level of well-being which allowed him to get back into the bullrings again. 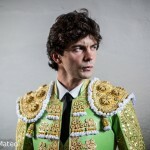 It was not an easy decision to make, but he realized he had done the right thing when his daughter asked him after he told them his wish to continue as a matador, Paloma asked him: “Does that mean that I can tell my friends at school that you will be a bullfighter again?”. In short, Padilla is made from special mettle, a phenomenon of Nature. 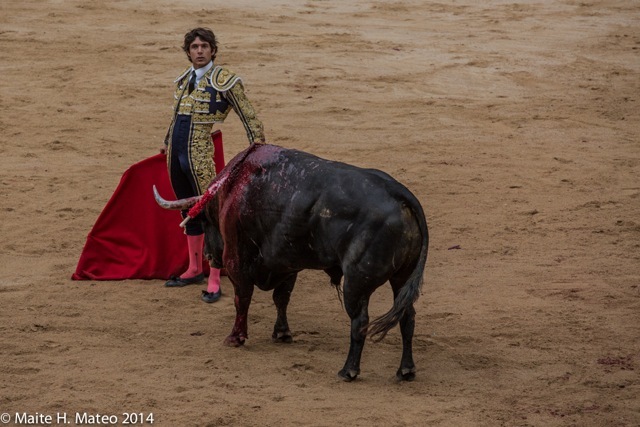 He has suffered a total of 37 gorings so far and he never stops repeating that glory and suffering go hand-in-hand. Perhaps to sweeten the path, he has become a vicious chocolate eater. 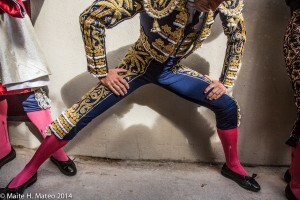 Luckily, with his profession, he burns up calories and he can continue to squeeze his lean body into the tight matador outfits. 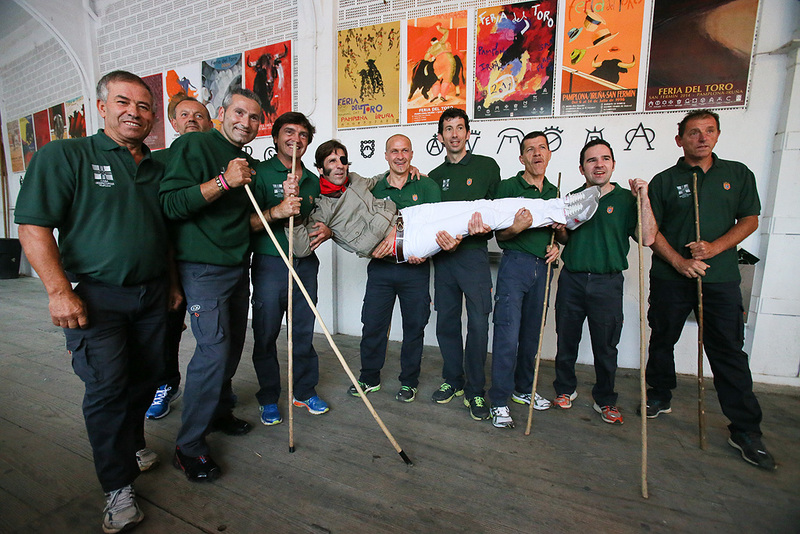 And for when he is taking his strolls, we have presented him with one of our T-shirt drawings from this year’s Sanfermin collection. 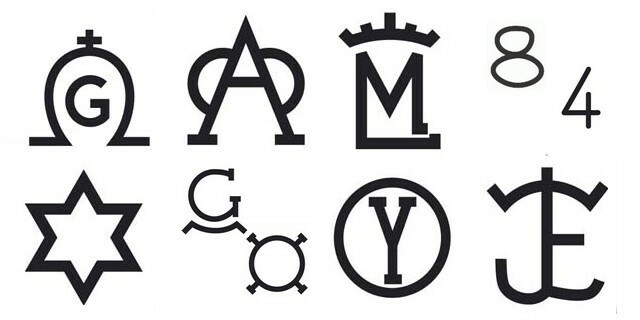 It simply reads: “Pero sigo siendo el rey”. Nobody better than him to show it off. The best of luck, maestro! 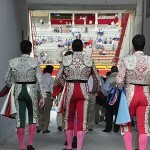 The afternoons are passing quickly and we have seen several matadors let their opportunities slip by, while several others have made the most of their chances of leaving their mark. 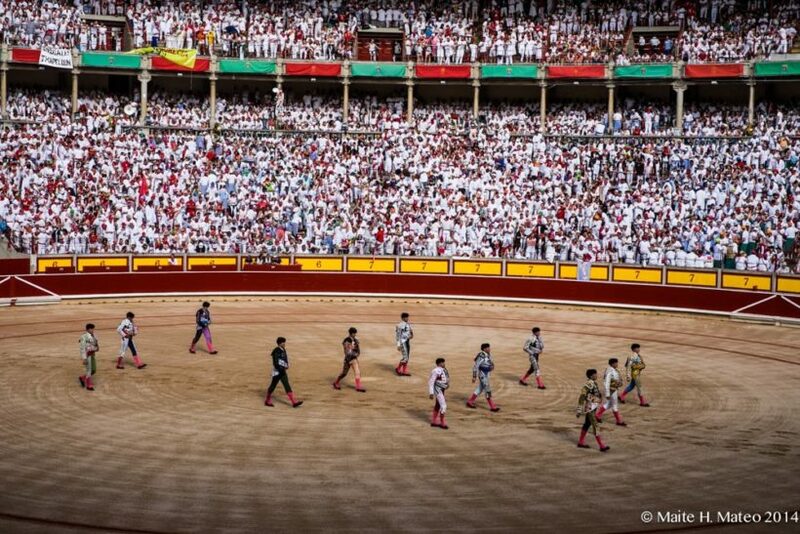 Pamplona is still an important and respected bullring although its main gate is beginning to look like the main entrance to a large department store during sales week, with so many coming in and indeed, being led out, in triumph. 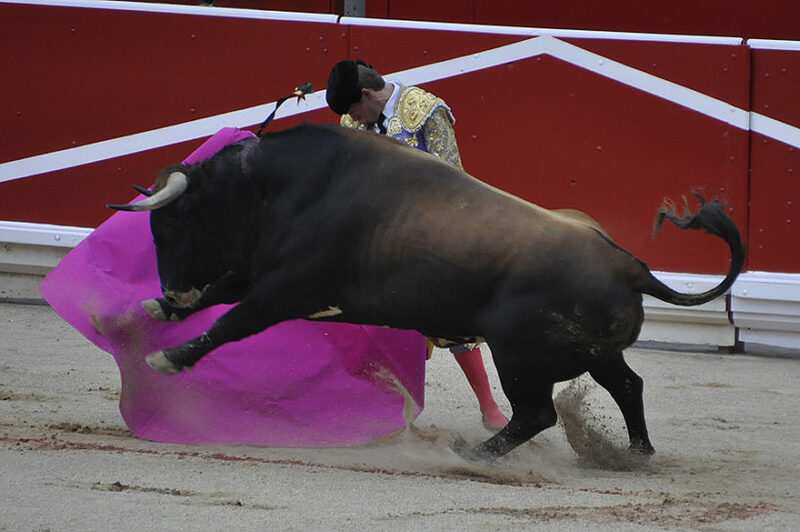 Everything worked out as planned for Perera, because faced with a fine herd of Jandilla Bulls he had two good performances with his two bulls. 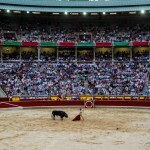 Especially, the first one where he might have been awarded two ears, if the President had not remembered that Pamplona’s bullring is still a serious one – and today’s President did remember that – and if he had got the two ears it would not have been much of a mistake. 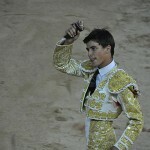 Iván Fandiño was also in form, he is winning over this bullring to his side more and more. 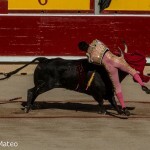 He got a good ear for his first and if he did not get more, it was because he got the two worst bulls to fight. 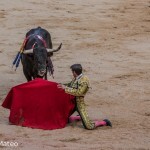 In any case, he showed some very good work on his left side with the first bull which the most knowledgeable among the spectators could appreciate and applaud. Sebastian Castella got entangled in his performance. 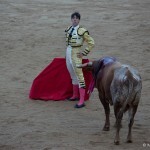 Especially, in trying to finish off his first bull, after a more than acceptable initial performance. With the second, which came out to fight at picnic time, there was little he could do. 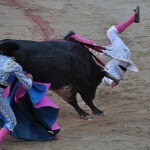 The bull fell too early and after that, there was no way to lift his performance. 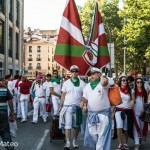 12th July (18:30 p.m.) Fuente Ymbro. 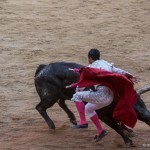 SEE MORE PICTURES OF TODAY RUNNING OF THE BULLS HERE. 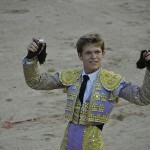 Iván Fandiño was on the point of losing out in the fiesta. 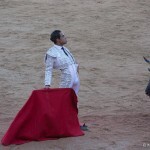 A crude tossing from his first bull left him with a gash to his right thigh but this did not prevent him from continuing with his work at hand. 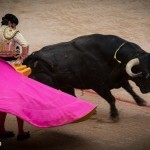 He was awarded a rather generous ear for his efforts and he then went straight to the infirmary to get a certificate from Doctor Hidalgo to allow him to go back out for his second bull. 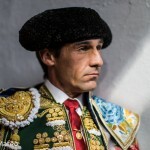 Here, he went all out and with this fifth bull of the afternoon, he was awarded two ears and the main gate was opened to lead him out shoulder high and so the afternoon proved to be another triumph for this Basque matador in Pamplona. 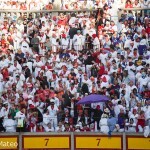 The bulls made their contribution; the best ones we have seen so far this week. 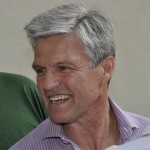 Fandiño made the most of them and both Juan del Álamo and Padilla let their chance slip away, for one reason or another. 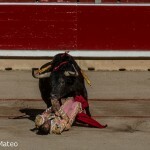 The Salamanca matador was a bit unlucky with his first bull, perhaps the weakest of the batch and with the second bull he did not know how to finish it off cleanly. 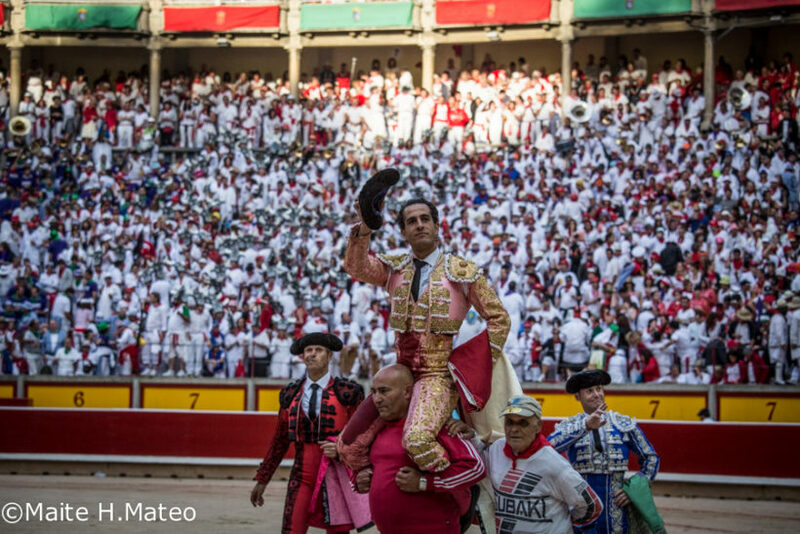 The matador from Jerez was a bit unlucky to see his first bull get injured And then he had his second bull just when the spectators were getting out their picnic baskets and their minds were on other things. 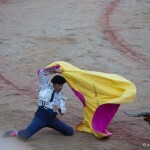 Even so, both bullfighters showed some class and were perhaps a little unlucky to come away empty-handed. 9th July. 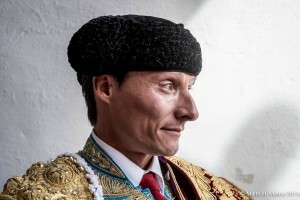 Victoriano Del Río Cortés. 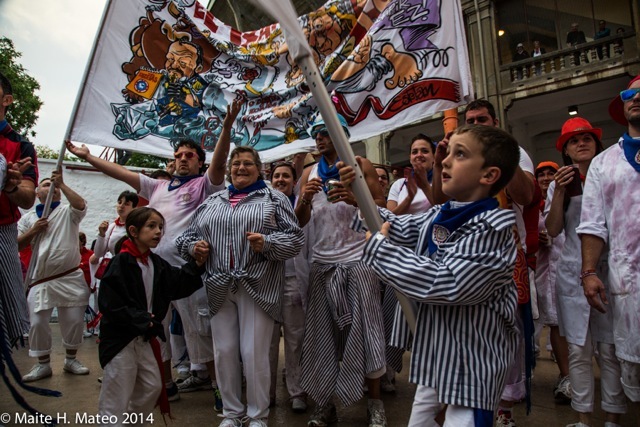 10th July (18:30 p.m.) Garcigrande. The picnic. What a treat. The exciting moment that arrives to substitute the boredom, the tedium and the general docility. Yesterday was even more necessary than ever. 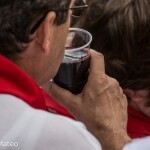 That’s why the photo that accompanies this article is more exact than ever. Willingness there was, especially from Paulita, making his debut. 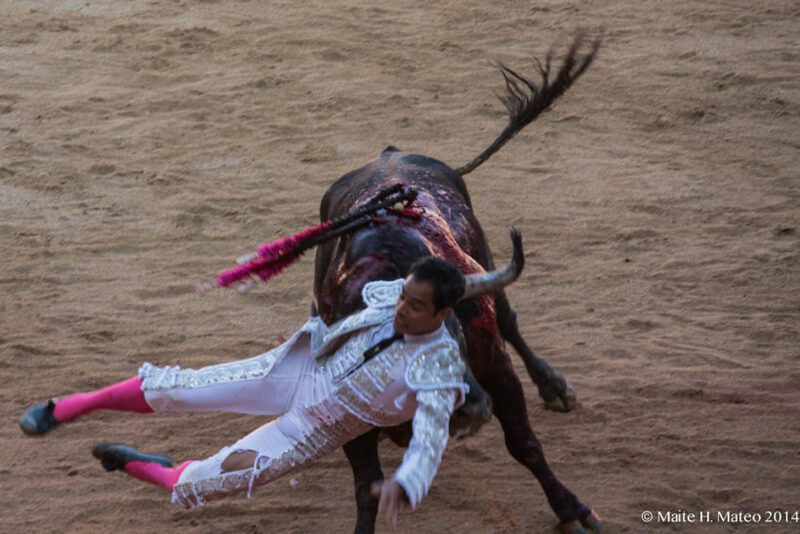 He gave his everything – especially with the third bull- to try to overcome the impossible. 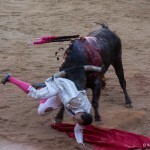 The bulls were simply not up to it. Meek… awkward… vacant. They just could not respond. 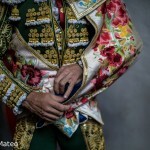 Uceda Leal, a veteran matador was the first to realize that there was nothing that could be done. And he quickly threw his hat at the whole thing. The local Navarran, Francisco Marco, had few opportunities but he had to try. 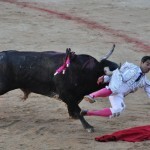 He put his heart into it but he too failed to get any response from the bull. 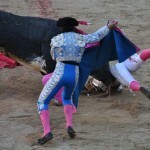 The whole lot of them, bulls and matadors went off empty-handed. In silence. Tomorrow Padilla will be on display. And that will be a different story. 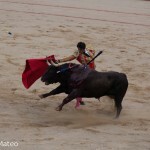 9th July (18:30 p.m.) Victoriano Del Río Cortés bull-ranch. 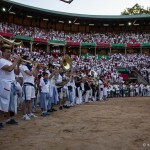 The first bullfighting event, in this case the traditional novillada heldon the eve of the opening of fiestas, saw the opening of the main gate in homage to Borja Jiménez,the young novice bullfighter from Seville. 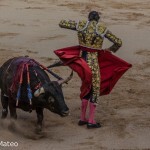 This would-be matador did not waste his chance to show his talent and he merited being carried out the main gate for his display before the young bulls. 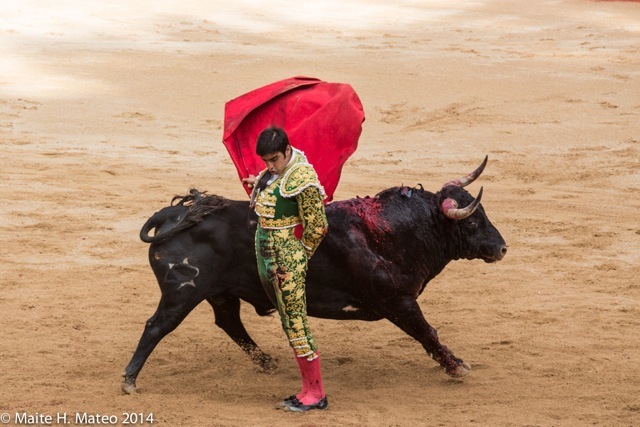 He was awarded one ear for his first bull and two ears for his second bull. In addition, he substituted for Posada de Maravillas in killing a third bull, after this young bullfighter had wounded himself with his own sword when he tried to finish off his first bull. 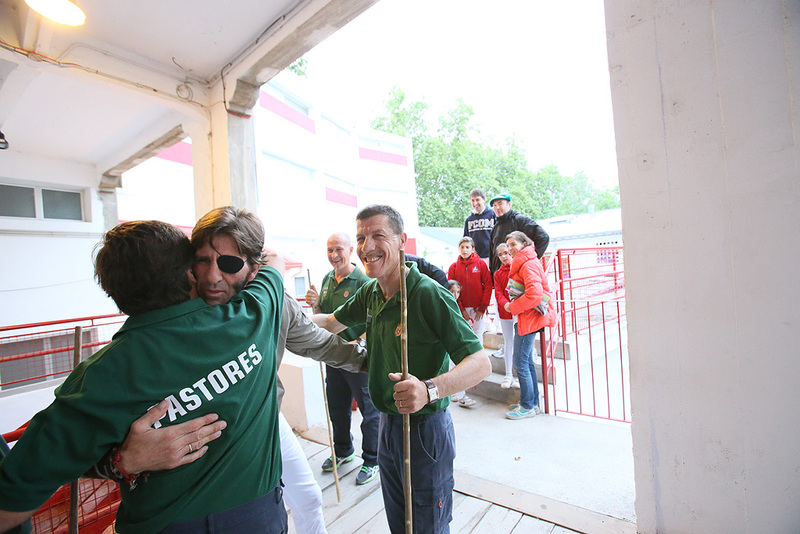 The program was completed by Francisco José Espada, who was also awarded a trophy after two aceptable performances against two “novillos” (young bulls) which lacked spirit and which prevented him from making a bigger impression. 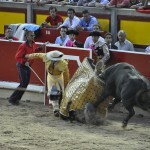 The second bull fought by Borja Jiménez, which went by the name of “Camillero”, also had its moment of glory. 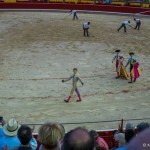 The dead animal was lead around the arena for showing great valor and bravery before it was finally killed by the apprentice matador. 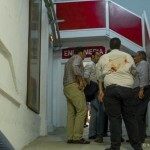 Late last night a medical report was issued on the state of Posada de Maravillas. 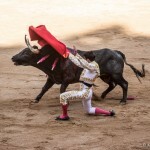 As well as a horn wound to his thigh, he had also suffered a “bad bruising to his right wrist with tendón injuries to his 4th and 5th fingers, and a superficial injury to his 3rd finger with a sectioned ulnar nerve”. 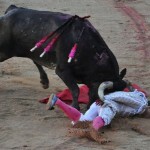 He was removed to hospital in a serious condition.